Statistics Canada released annual numbers on low-income last week illustrating that poverty remains a persistent problem across the country. The 2011 numbers are the most recent data available as there is a two-year gap between the release of these figures. The Low-Income Cut-off After-Tax which looks at a family who spends more than 60% of their income on basic needs after taxes and transfers are considered (based on 1992 figures, which are outdated), puts the overall poverty rate in Canada in 2011 at 8.8% – a 0.2% improvement from 2010. What this means is 3 million people in Canada are still living in poverty. Meanwhile, child poverty across the country has increased, moving from 8.2% in 2010 to 8.5% in 2011. With numbers like this, it would be prudent to suggest it is time to re-evaluate federal programs and policies related to poverty. This includes child care, income supports and housing. Assistance in these areas would reduce poverty numbers and save the government money. Those in the middle are not faring that well either. Incomes remain stagnant for families with at least two-people – there has been no change in the median income between 2010 and 2011 for this income groups, and since 2011 there has only been a modest increase from $66,700 to $68,000. The Stats Can report uses words like “stable” to describe this, when the truth is that incomes are not rising and yet costs of living are. Food and shelter costs were two main factors behind a 0.7% increase in the Consumer Price Index between May 2012 – 2013. Fresh vegetables saw an increase of 5.8% while bakery products rose 3.9%. Would this, compared to stagnant incomes, be ‘stable’? Would a family who has to pay rent, feed the kids, pay for transport, etc, feel stable? It is ironic that a term denoting unwavering income levels describes the opposite reality felt by individuals and families experiencing this trend. Alberta was the only province in which families with two-persons or more saw an increase in after-tax median income, moving from $80,400 in 2010 to $83,800 in 2011. Sadly, on the other end of the spectrum is Ontario, the only province where a single person actually experienced a decrease in median income – dropping from $28,600 to $25,900. Recently in May, the premier of Ontario chose not to raise the minimum wage, so it holds at $10.25/hr (since 2010). Anti-poverty advocates in the province propose raising the minimum wage to $14/hr, which would ensure adequate income to meet basic needs. The 2011 statistics offer fresh fodder for this debate. 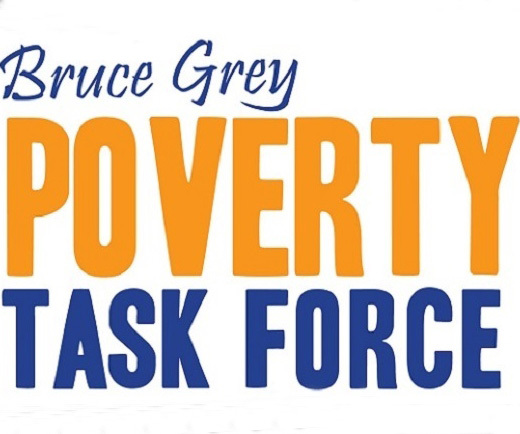 The overall poverty rate in BC remains the worst in Canada. While the poverty rate dropped from 10.5% in 2010 to 11.3% in 2011, BC holds its place at the bottom and remains one of only two provinces without a provincial poverty plan. BC child poverty rates rose in 2011 to 93,000 – an increase of 7,000 children – which makes BC now tied with Manitoba for the worst child poverty rate in the country. BC held this shameful title for almost 8 consecutive years until last year, when it rose to 2nd last. First Call BC Child and Youth Advocacy Coalition noted today in a press release that when you delve deeper into family types the numbers get worse. For lone-parent mothers the poverty rate soared moving from 16.4% to 24.6%, representing 27,000 children. For two-parent families with children the numbers experiencing poverty grew as well by 10,000 to a total of 61,000 children. This is shocking for a one-year time period. While the BC government is reticent to implement a provincial poverty plan, they did attempt to work with seven cities across BC to establish local poverty strategies. No funding was given to the cities and regions were left to develop their own initiative based on local services. Since this announcement in April 2012, there has been no update from the BC government on the status of these ‘plans’ or poverty in these communities. Looking at the recent numbers, the patchwork anti-poverty programs and focus on jobs is not enough to address poverty.